We've been lucky this late-autumn. Not so much rain to speak of. But there have been days where the skies opened. 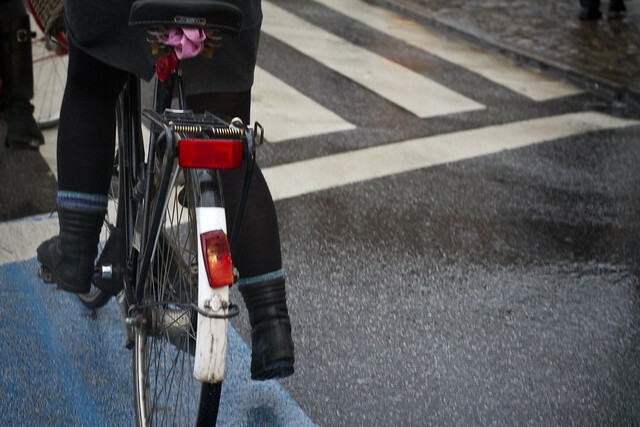 If you've ever wondered why fenders are standard on bicycles in mainstream bicycle cultures... here's an illustration. Wind, combined with rain, isn't our favourite weather. 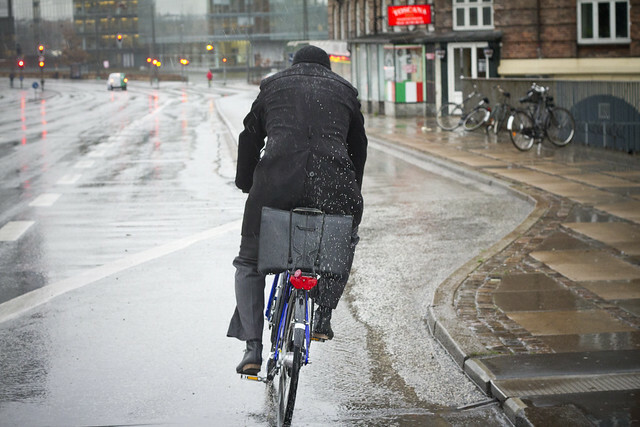 Rain or not, that magical moment when the bicycle user propels the bicycle into motion is still our favourite. Coats? Check. Hats? Check. Boots? Check. They're just popping down to the shop, not sailing the wrong way 'round Cape Horn. Rainwear? 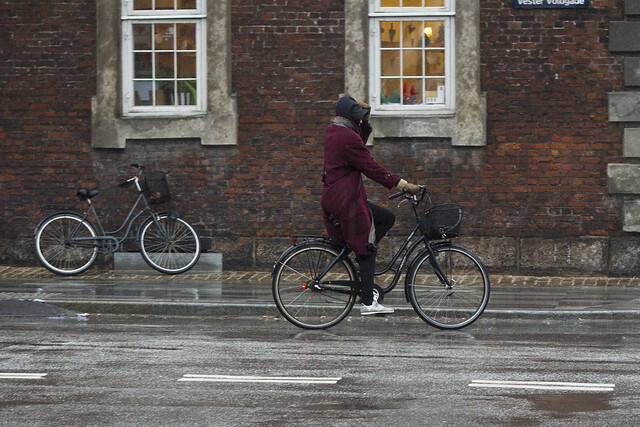 We wear the same thing as pedestrians on our bicycles in mainstream bicycle cultures. 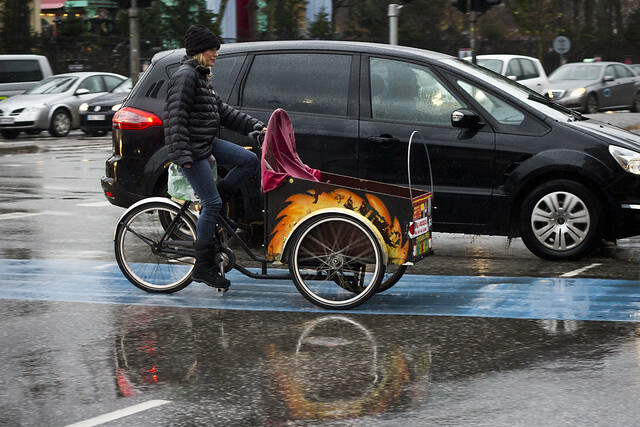 How about a photo of a bicyclist holding an umbrella?